The smartphone-based taxi service is raising about $2 bln. New cash will help Nadiem Makarim’s unicorn expand in the region and even into online shopping. A successful market debut by its Chinese backer Meituan Dianping also should fuel Go-Jek’s quest to be a multi-purpose app. A Gojek driver rides his motorcycle through a business district street in Jakarta, June 9, 2015. Jakarta's traffic jams are a constant vexation for the city's 10 million residents. The Indonesian capital's glaring inefficiencies have also created opportunities for the likes of Makarim, who has launched a smartphone app, GO-JEK, that lets users summon a motorbike rider to weave them quickly through gridlocked traffic, deliver a meal or even get the shopping. Picture taken June 9, 2015. Indonesian ride-hailing giant Go-Jek is in talks to raise at least $2 billion in a fresh funding round, people with direct knowledge of the plans told Breakingviews. 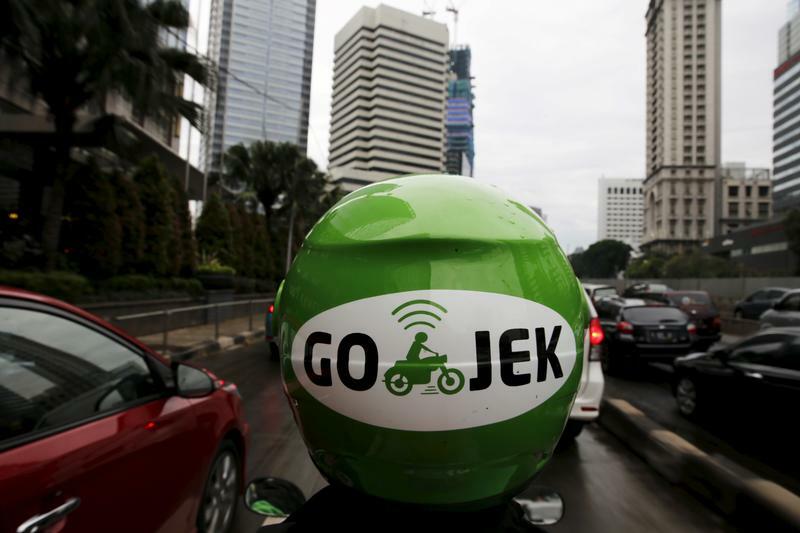 Go-Jek backers include Tencent, JD.com, private equity firms KKR and Warburg Pincus, and Google. China’s Meituan Dianping, a food delivery-to-ticketing app, is also an investor. Meituan raised $4.2 billion in Hong Kong last week, pricing its shares near the top of its expected range and, according to Thomson Reuters publication IFR, at about 27 times its 2020 earnings. News of the Go-Jek fundraising was first reported by Bloomberg on Sept. 16.